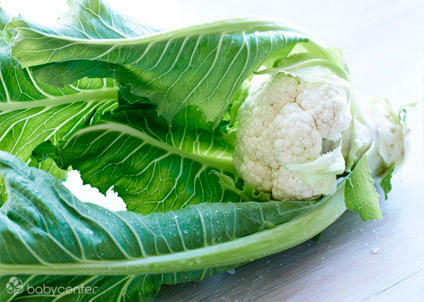 This week, your baby weighs almost 2 pounds (about the size of a head of cauliflower) and is about 14 1/2 inches long with her legs extended. She’s sleeping and waking at regular intervals, opening and closing her eyes, and perhaps even sucking her fingers. With more brain tissue developing, your baby’s brain is very active now. While her lungs are still immature, they would be capable of functioning – with a lot of medical help –if she were to be born now. Chalk up any tiny rhythmic movements you may be feeling to a case of baby hiccups, which may be common from now on. Each episode usually lasts only a few moments, and they don’t bother her, so just relax and enjoy the tickle. The second trimester is drawing to a close, and as your body gears up for the final lap, you may start noticing some new symptoms. Along with an aching back, for example, you may find that your leg muscles cramp now and then. They’re carrying extra weight, after all, and your expanding uterus is putting pressure on the veins that return blood from your legs to your heart as well as on the nerves leading from your trunk to your legs. Unfortunately, the cramps may get worse as your pregnancy progresses. Leg cramps are more common at night but can also happen during the day. When a cramp strikes, stretching the calf muscle should give you some relief. Straighten your leg and then gently flex your toes back toward your shin. Walking for a few minutes or massaging your calf sometimes helps, too. I now wear either exercise leggings with baggy tees or maternity clothes. Sleep is still a bit sketchy but only because of disturbances by other people in the house. If my mother doesn’t wake me with her insomnia by rattling bags of junk food she is eating at midnight or beyond while sitting on the couch in my bedroom watching tv, then my sister or her family are making some noise (baby crying, tv in the den on the loudest volume like they are deaf, walking across the floor upstairs, waking up early and making noise in the kitchen which is just upstairs). I am sooooo ready to go back to NY for peace and quiet ! A few more weeks and I can move into my sublet, which will be at a hotel. This week has been pretty quiet. Tomorrow, I am leaving for Kentucky to take my mom to Paducah for the weekend. It is the Quilt Capital of the world. Because of her compromised immune system, my sister and her doctor were not in agreement with us sending her to Costa Rica due to Zika risk :-(. My friend suggested taking her to KY, which I had no idea about and after researching the town, I decided to just take her there. We will take a family trip next year to Europe. My sister, who is a Pediatric RN is against me taking the baby out of the country due to germs, etc and her being not fully immunized, but I will discuss it with the Pediatrician when we have our first appointment. Other than the inability to get comfortable at night, pelvic heaviness, and round ligament pain, I have no other symptoms. Still no appetite. The only think I crave occasionally is watermelon and sometimes a homemade burger with onion and tomato. My TSH is elevated a bit and my doctor called in a prescription for a higher dose of Synthroid. I now have to take 200mg instead of 175mg. My iron levels have dropped too so I have to take an iron supplement. Since they never called in one, I will start taking the organic liquid one I bought at a health food store. Salty foods. I am starting to be able to tolerate a little bit of sweets. My baby shower in a few weeks ! 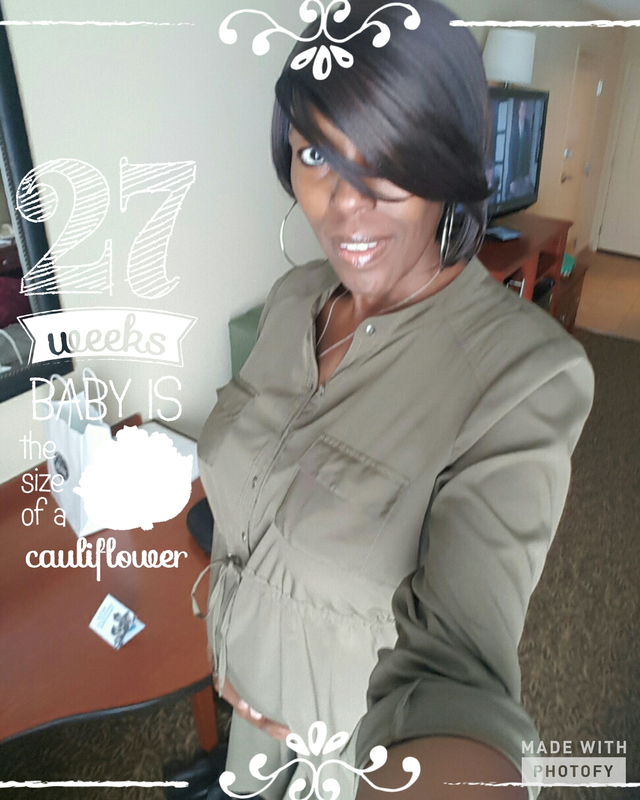 This entry was posted in Donor Egg IVF, Infertility, IVF, Pregnancy, Single Mother By Choice and tagged Black Choice Mom, Cooking for Pregnancy and Infertility, Donor Egg IVF, Donor Eggs, IVF, Pregnancy, Single Mother By Choice. Bookmark the permalink.